Now in its third edition and featuring a new foreword by New York Times best-selling author David Platt, pastor Mark Dever’s classic book is not an instruction manual for church growth. 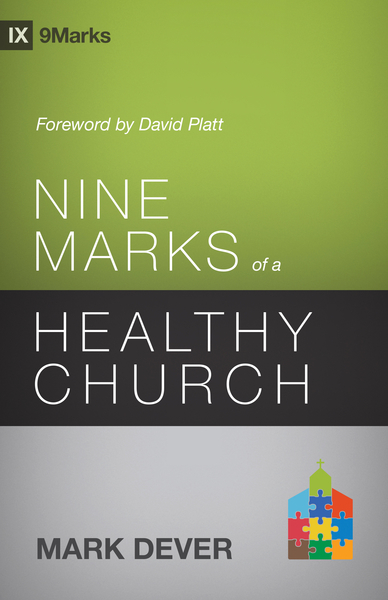 Rather, it is a wise pastor’s recommendation for how to assess the health of a church using nine crucial qualities often neglected by many of today’s congregations. Church leaders and church members alike will resonate with the principles outlined here, breathing new life and health into the church at large. In this newly revised edition, fresh arguments have been added (for example on expositional preaching, about the nature of the gospel, on complementarianism), illustrations have been updated, appendices have been changed, and cover has been improved.